best-selling text has been thoroughly revised, updated and expanded to take into account new issues which have become salient in the period since the first edition was published, including the impact of the internationalization of economic relations on the welfare state; the various debates about the concept of "competitiveness"; the Asian crisis; and the relationships between the North and the South in terms of their effects on wage rates and living standards.Globalization in Question, Second Edition, is a timely intervention into current discussions about the nature and prospects of globalization. The book has far-reaching implications which will be of interest to students and academics in a number of disciplines including politics, sociology, economics and geography, as well as to journalists and policy-makers. 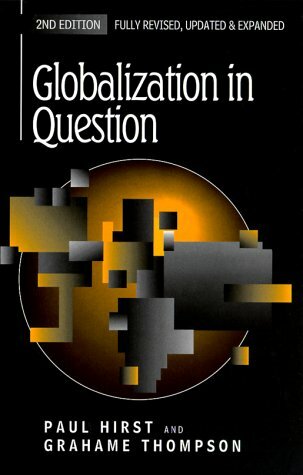 Introduction: Globalization -- a Necessary Myth? Can the Welfare State Survive Globalization?